JITO Ladies wing has been created to empower the Jain Women. And provide a platform where all JAIN women regardless of their firkas and faith can converge to create a powerful movement for benefit of all. Imparting proper values and sanskars to our children not only helps the family but the community and society at large. That’s Jainism treats woman and man as equal and are two sides of the same coin. JITO Ladies Wing aims at Education ( Shiksha), Service ( Seva), Values (Sanskar), Security (Suraksha), and self Reliance ( Swalamban ). When these five “S” are taken care of , it will help women to grow and at the same time the community and the society will grow. JITO Ladies Wing will provide opportunities to women of all ages for their personal growth, participation in economic activity, up gradation of personal and professional skills in order to help them professionally as well as the noble task of caring for the family and good upbringing of their children. All this will help them contribute of family values as well as for spiritual enhancement of the society. 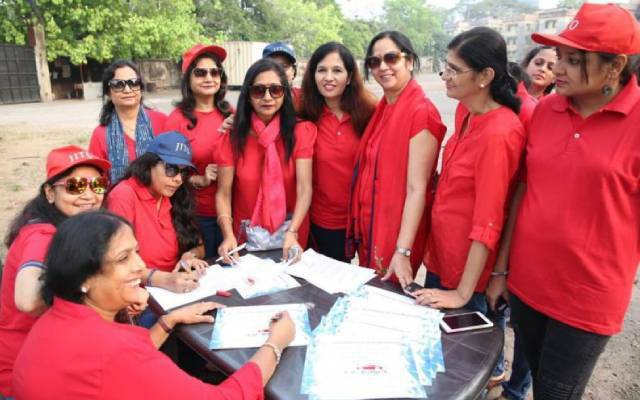 JITO Ladies Wing is committed to develop a platform to implement various activities and programs to strengthen the socio- economic status of women. It aims to empower women worldwide to achieve transformation through Leadership, Technology and Economic Prosperity. To empower women in social, academic and economic fields and to enhance their Self- Esteem and Self. This committee shall include 10 Ladies. FCP/CP/Patron members nominated by JITO Apex based on interest from the members. Ladies who wish to join this committee and not part of JITO Apex should join JITO Apex as CP/Patron member. These Ladies Wing members to be nominated in writing by respective JITO Zone Chairman / Zone Chief Secretary in consultation and concurrence with Chapter Board and Ladies Wing President and Chief Secretary under the Zone. The representative at the National Ladies Wing Working Committee should not be President or Chief Secretary of the Ladies Wing at the Chapter. 3.National Body: - This body shall include 1 representative member from each of the chapters’ Ladies Wing. This representative shall be nominated in writing to the National Body by the respective Chapter Chairman and Chapter Board with approval from Ladies wing Chairperson and Secretary from the Chapter.The Representative thus nominated will not be Chapter Chairperson or Secretary of the Ladies wing at the Chapter. It would be permanent invitees to all the Meetings of National Ladies Wing Apex Committee, National Ladies Wing Working Committee and National Body. The Working Committee as mentioned in point no. 2 shall be a part of the National Body by default.